No. 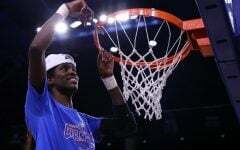 23 DePaul (26-7; 15-3 Big East) has known for close to a week they would be dancing this March for a 16th consecutive time, but Monday night they finally learned they will be heading to College Station, Texas, for a first round showdown against the Oklahoma Sooners (16-14; 11-7 Big 12). DePaul head coach Doug Bruno told his players to enjoy the accomplishment and remember what kind of opportunity it is to play in the NCAA Tournament. 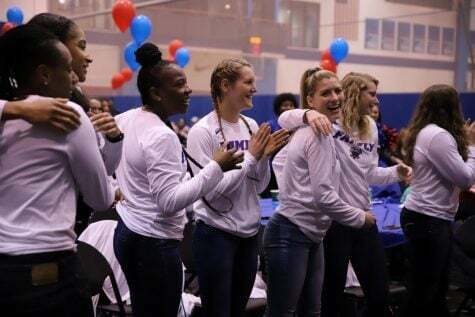 That shaky beginning began with a loss to Northern Colorado in its season opener and also included losses to FGCU, UConn and Notre Dame before the Blue Demons found their stride shortly before the New Year. 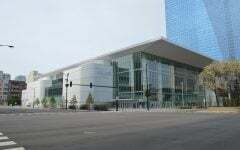 DePaul will be entering the tournament as a No. 5 seed in the Spokane (Wa.) Region while the Sooners come in as a No.12 seed. 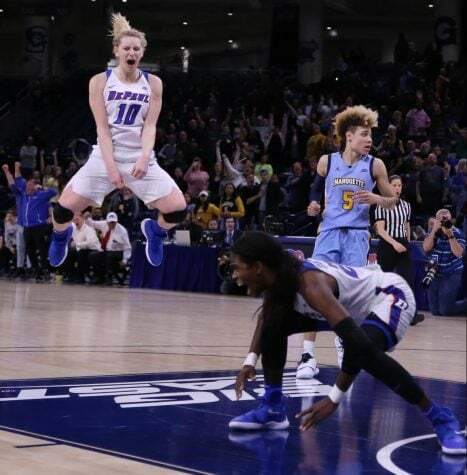 Sherri Kay Coale’s squad was one of the last teams to make the tournament over Rutgers with the worst winning percentage for an at-large team since 1983 when Monmouth made it with a 14-14 record. The winner of this matchup will advance to play the winner of the regional matchup between the No. 4 seeded Texas A&M Aggies (24-9; 11-5 SEC) and the No. 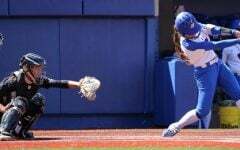 13 seeded Drake Bulldogs (26-7; 18-0 Missouri Valley) on Sunday. The Blue Demons have won 12 of their last 13 first round appearances in the NCAA tournament. 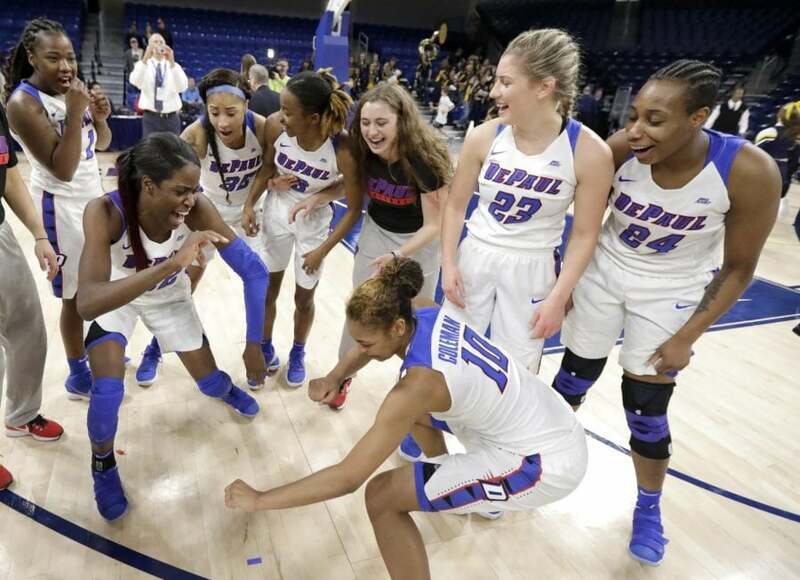 Friday’s game against the Sooners is an intriguing one given the fact that both teams already faced each other in the Blue Demons’ second regular season game on Nov. 13 at McGrath-Phillips Arena. 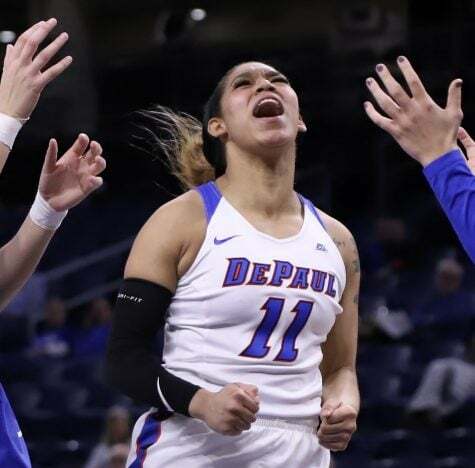 In a high scoring affair, the Blue Demons pulled off a 111-108 overtime victory on senior guard Amarah Coleman’s step back game-winning 3-pointer from the right wing at the buzzer. 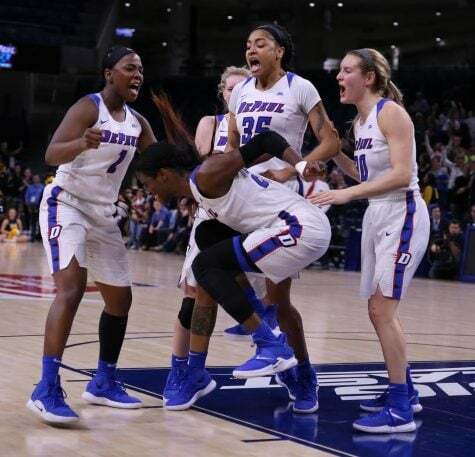 Though this time around is a win-or-go-home scenario, things are much different for both teams and the Blue Demons don’t expect this game to be easy solely because they’ve already defeated the Sooners once. 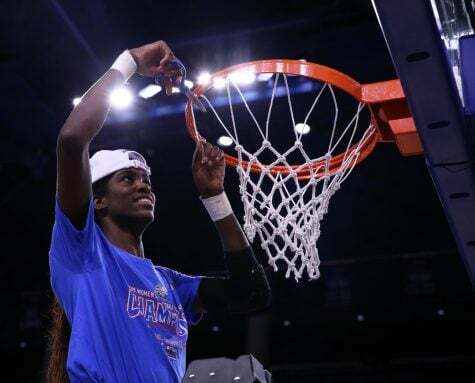 “What makes it difficult is (that) they got kids that can get to the basket. 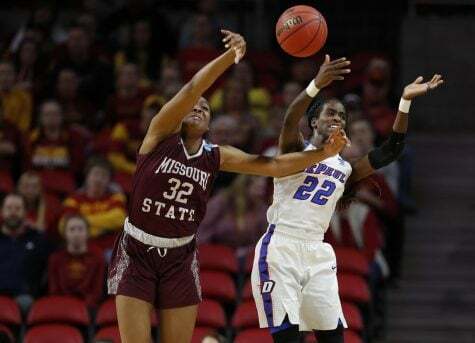 They got kids that can score on the 3-point line,” said Coleman. 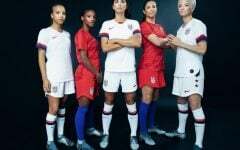 “They have a great team. 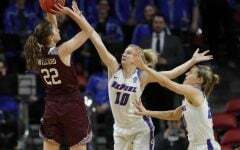 They have all-around great players and we’re just going to focus on having to guard them.” This season the Sooners shot 44.2 percent from the field overall and converted on 33.9 percent of their 3-point field goal attempts. 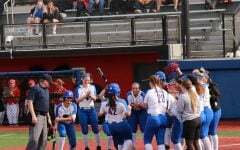 Offensively, the Blue Demons rank No. 2 in the nation in 3-point field goals made with 398 of them and seek to retain 3-point shooting in their arsenal. 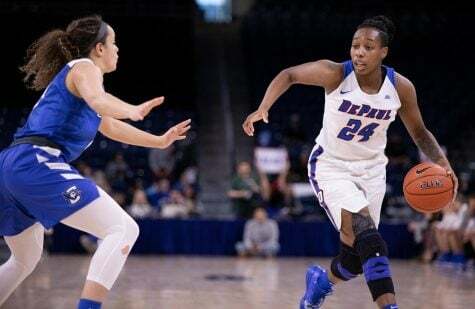 Additionally, the Blue Demons will be looking to continue their profound passing ability in order to spread the floor and get out in transition as a means to find teammates for high percentage shots and get assists. They tallied 674 total assists this season which ranks No. 3 in the nation. 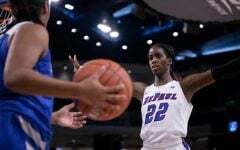 Equally important, the Blue Demons must play excellent defense and be sure to pull down defensive rebounds no matter who the opponent is. 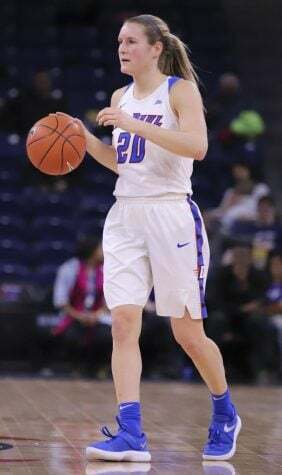 “All season we’ve been working on improving our defense and rebounding, so really just keeping up with our consistency there and really getting after it on defense,” said sophomore guard Kelly Campbell, are critical steps that the Blue Demons must execute in the tournament. 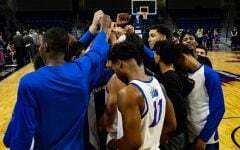 One critical inconsistency that the Blue Demons have had thus far is the inability to get off to quick starts, so that’s also a point of emphasis heading into team practices this week in preparation for Friday’s game. “We have to really come out and get a quick start from the beginning and really defend and rebound and control the boards, do the little things and really just give everything we got and play with all our heart,” said Campbell. Tipoff is at 11am CT on ESPN2.